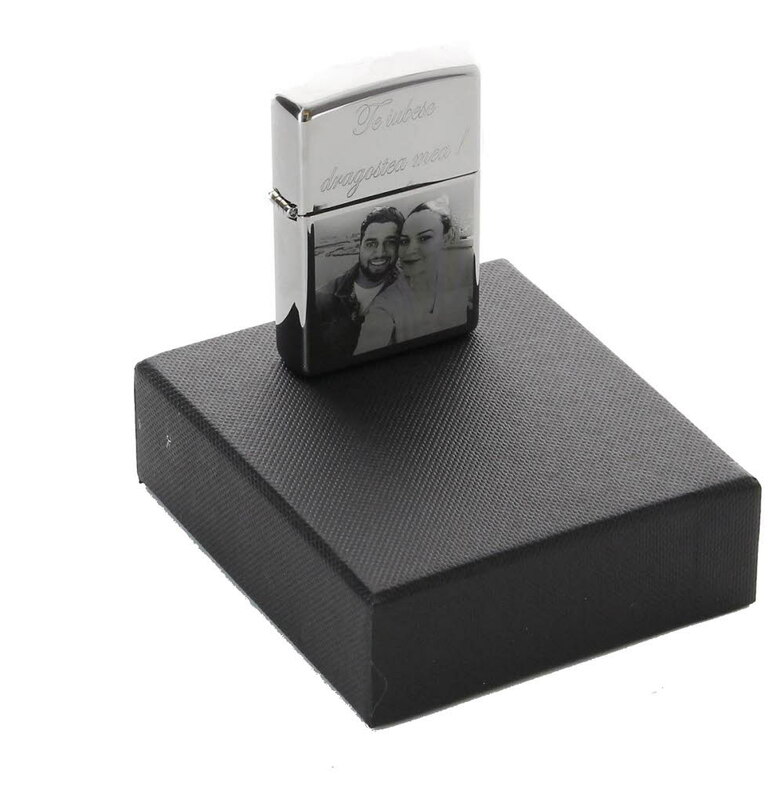 Personalised engraved genuine highly polished chrome zippo lighter. The item comes presented in a black zippo box. Personalise with your treasured photos and/or engrave with your special message. If you have a photo as well as text we will put your message on the lid and the photo on the bottom half of the lighter.